The author lovingly looks back on his experiences in life and in the military and heartfully shares them in the pages of his wonderful and inspiring memoir. Clarence E. “Kip” Vold wonderfully narrates a heartfelt recollection about the experience that shaped him to become the man that he is today. After the suggestion of his wife and his brother’s death, he got the idea to write about the memories he had while growing up as well as the unforgettable and life-changing experiences he has while serving in the military. 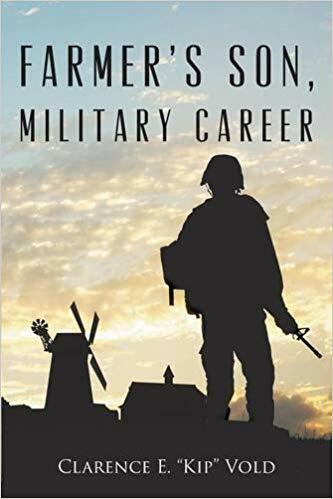 In the “Farmer’s Son, Military Career,” the author emphasizes the lessons he has learned from different unforgettable memories and experiences he went through in life. His story reminds readers of the importance of keeping a positive outlook in overcoming every challenge that might come. As he shares his story, he also opens up about his life as a farm boy and honors his family and their history. He talks about his Norwegian roots, his family’s legacy, and how they settled in South Dakota. Also, he lovingly narrates the story of how his parents met and unforgettable memories of his childhood like surviving blizzards and completing grades school. Catch Clarence E. “Kip” Vold during the Miami Book Fair International 2018 as he signs copies of his memoir. His book signing session is on November 17, 2018 at 2:00pm - 3:00pm and November 18 , 2018 at 3:30pm - 4:30pm. On the other hand, this highly-anticipated affair will be on November 11-18, 2018. Be sure to save the dates! Also, copies of different formats are available on Amazon: https://www.amazon.com/Farmers-Military-Career-Clarence-Vold/dp/1634178610/.